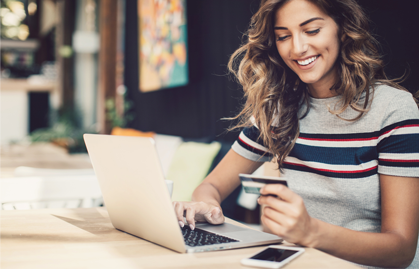 The First Progress Platinum MasterCard® Secured Credit Card is a full-feature Platinum MasterCard® with a credit line based on a security deposit rather than on a credit score. You post a security deposit to establish your credit line and that deposit serves as collateral for your obligations on the secured credit card account. The card is designed to advance the accumulation of new information in a credit file by reporting account activity to all three of the major national credit bureaus every month. And because it’s a full-feature Platinum MasterCard®, the card provides the protection, convenience, and prestige of the worldwide MasterCard® system. First Progress Platinum MasterCard® Secured Credit Cards are issued by Synovus Bank, Columbus, GA, member FDIC.